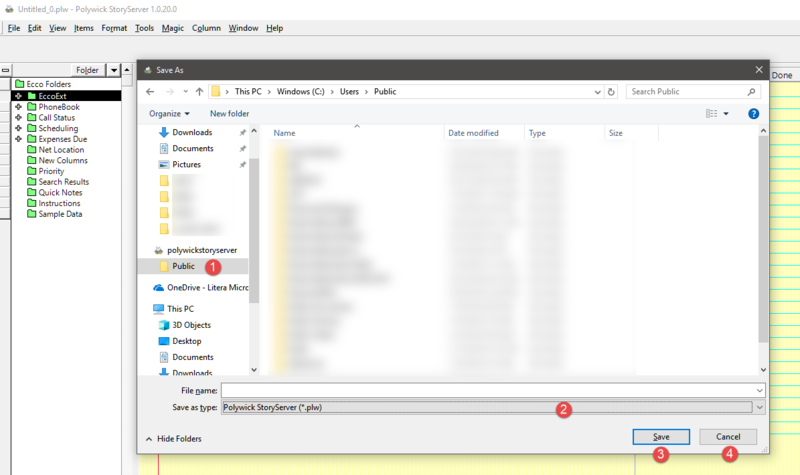 How to save StoryServer documents. Where to find folders you previously opened. When you press Alt+F,S or Ctrl+S the Save dialog appears. Using this dialog box, you can save your StoryServer document. The folders found in MRU. File Extension to save to. Click Cancel to cancel and do not save.